If the desired original state has not yet been reached, edi will make sure that all necessary sub commands get executed to reach the desired state. If the intermediate artifacts are to some degree not available, edi will execute all required sub commands - if needed it will start with the image bootstrap sub command. The above command will delete the previously generated artifacts. However, it will not delete named lxd containers. edi_configure_remote_target will be set to True if a remote system gets configured. 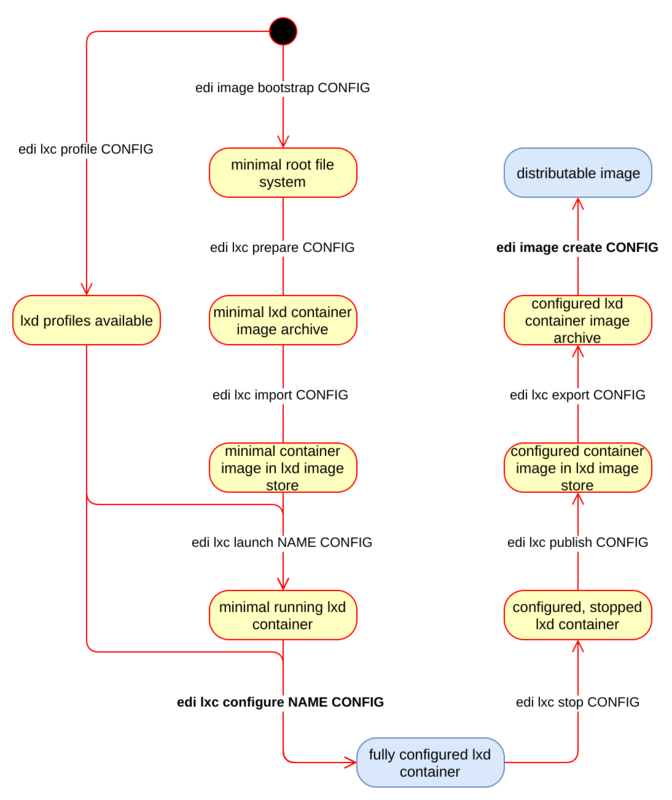 edi_create_distributable_image will be set to True it a distributable image gets created. This is useful to skip certain steps shall not be applied to a distributable image or to include additional steps that are only needed in case of a distributable image.